The Community Fresh Hop IPA, brewed with fresh hops donated by our awesome neighbors and community members, is running pretty low! We had enough donations to brew a double batch (!!!) but those 30 or so kegs are starting to finally run low, so come get the last of the Fresh Hop beer while you can! We’re also getting low on our Midnight Rider Dark Lager, our Schwarzbier-inspired brew. 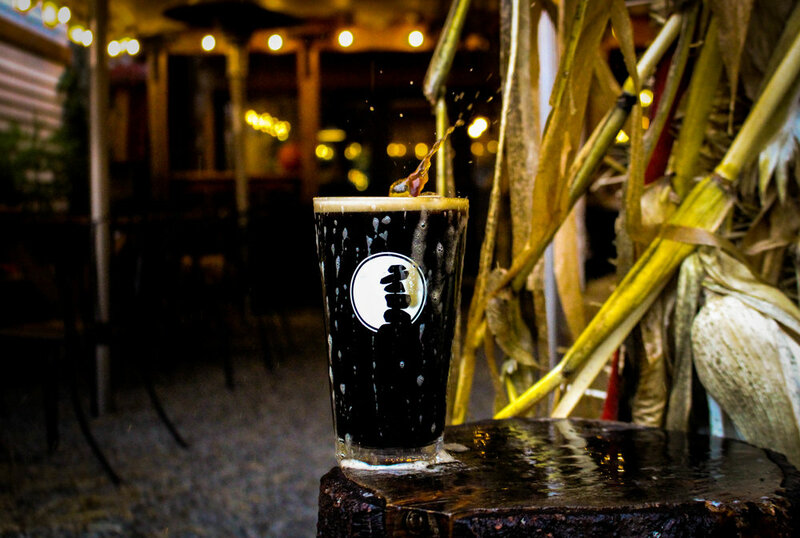 A beer dark in body but light in flavor, the Midnight Rider is a late-autumn favorite of ours every year. Highly attenuated and refreshing, this moderate strength light beer has a fresh stone fruit flavor and mild malt sweetness, with a clean and earthy finish. Barral-aged in Hungarian Oak, we brewed this Brett Saison with local grain sourced from Skagit Valley Malting, Belgian Yeast with Brettanomyces cultivated in-house, Saaz hops, and wort utilized from our award-winning Raincountry Liquid Sunshine Pilsner-Style Lager. We’re excited about 4 beers in the tanks that are almost ready to put on tap once the lines clear up - so be sure to do your part to usher in these fresh batches and drink more beer! First up is hop-forward BRAND NEW Pale Ale we have never brewed before. It features El Dorado and Simcoe hops, has a tropical-fruit flavor with a light pine aroma from the gentle dry-hop. It sits right at 5.0% ABV and 55 IBU. And with the start of Fairhaven’s historic Winterfest, we’ll be releasing a Winterfest Oatmeal Stout the day after Thanksgiving! 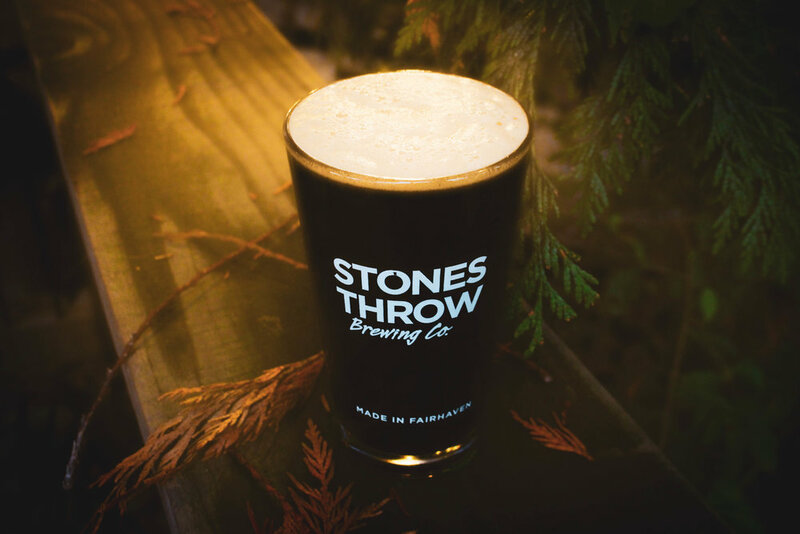 6.5% ABV and 57 IBUs, this Oatmeal Stout is roasty and malty with a light grainy and nutty oat aroma. The Winterfest was brewed to help raise funds for the Fairhaven Winterfest celebrations (tree lighting, carriage rides, all the Holiday fun you see in Fairhaven each season)! If you want to help the community and donate to the cause and learn more about Winterfest, check out this link right here! Winterfest starts the day after Thanksgiving and ends December 22nd. Well, dang! Both the Sticks and Stones Collaborative IPA with Big Stick BBQ and Mosaic Harvest Blonde Ale went fast… Almost too fast. So we’re bringing them back! They’re next up on the brewdeck - so keep an eye out for ‘em. for a rich and bountiful ski season up at Mt. Baker!